Hey all, thanks for trying out the latest Update 2.5 hotfix. Today’s patch is all about continuing our goal of solidifying the Battalion 1944 base game for the future. We collated all the bugs reported this past weekend and have fixed the majority of the issues as we head towards the very first major tournament for our early access players, The Blitzkrieg Masters - Amsterdam 2018. 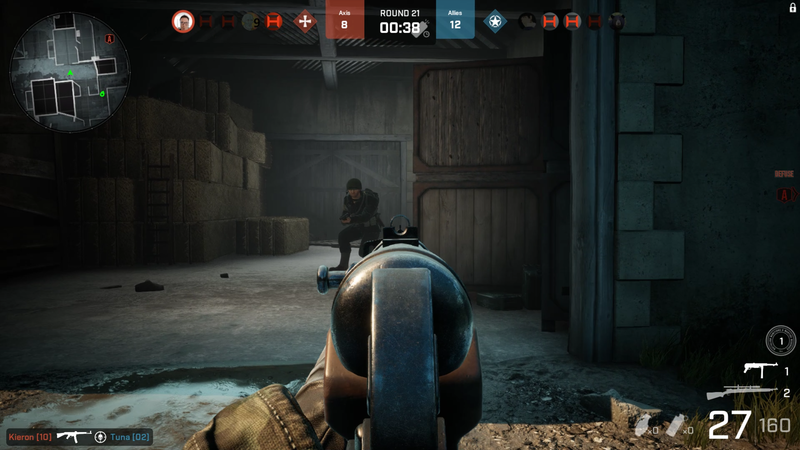 The 2.5 update and today’s 2.5.2 patch will lay the foundations for Major Update 3, the largest overhaul of Battalion 1944 to date, later this year. This is early access development in real time - building the foundations for future features and spicy new content. Thanks for being a part of this journey as we look towards the future. Removed vault volumes from bombsite boxes. Using vault volumes no longer gives you a jump height punish. Adjusted landing punish so that if a player jumps to a higher surface they will not receive the jump height punish, only the slowdown punish - meaning players can now easily jump up to consecutive higher surfaces (for example a stack of crates). However, keeping the slowdown punish after landing means that players can’t consecutively jump along flat surfaces in a row. The goal of this change was to increase movement freedom whilst still preventing ‘bunnyhopping’ around the map. Coastal - Heightened hedges by the garden area to block vision into A bombsite from garden. Coastal - Fixed multiple clipping issues where players could lean through walls. Coastal - Smoothed ramp collision entering the blown out connector building between back B stairs area and middle/tank area. Coastal - Fixed ‘angle abuse’ on B bombsite’s market stall. Coastal - Can no longer crouch whilst sprinting along A apartments (yellow) lip. Also smoothed out the collision along this lip when entering and exiting the windows. Coastal - Fixed floor culling issue looking from seafront to allied spawn. Coastal - Fixed overpowered angles created by the fountain area by allied spawn introduced in MU2 by raising surrounding walls and adding corrugated iron sheets to block abusers vision when jumping. Coastal - Removed overpowered peak into blown out axis defensive building on seafront from allied spawn. Coastal - Removed crates where players could get stuck on between the boxes/canopy looking into T connecter building. Derailed - Fixed players not being able to throw grenades over B bombsite. Derailed - Fixed door gap in allied spawn. Derailed - Moved misplaced barrel asset at top mid. Derailed - Back B arch gap removed. Derailed - Can no longer get stuck crouch walking into A bombsite via stairs. Derailed - Blocked lean clipping abuse into second mid. Derailed - Removed pixel walk in the allied spawn that looks into B cinema. Derailed - Blocked lean clipping abuse from ticket booth into back corridor. Derailed - Shooting through A bombsite double doors no longer causes hitmarkers to appear. Invasion - Can no longer jump from the top of drop by allied spawn onto the high rocks and peek into mid. Invasion - Smoothed collision by A bombsite bunker. Invasion - Fixed wrongly rotated bricks on Invasion. Invasion - Fixed multiple spots on Invasion where invisible mesh decals were colliding with bullets on the corner of bunkers. Invasion - Removed wooden planks that would let players jump up and lean through barn trim on B site. Liberation - Blocked tombstone jump by allied spawn. Liberation - Removed bad vault volume on A long kubelwagen. Liberation - Pushed back the leaves on the hedge by the common grenade line up spot next to B site to allow for better visibility. Liberation - Removed pixel gap in the first floor floorboards of the white blown out building that let players see into alleyway. Liberation - Removed gap in market stall that allowed players to see into B bombite from the stairs when prone. Manorhouse v2 - Fixed lightmap issue on A long house shutters. Manorhouse v2 - Fixed lean clipping abuse on big barn where players could lean through the roof to see axis spawn and middle trench. Manorhouse v2 - Removed unintentional angle from inside A long house towards top A long barn. Manorhouse v2 - Removed/Blocked a horribly overpowered headshot angle that looked from inside A long barn into A main from behind a stack of crates. Manorhouse v2 - Strange grenade collision fixed on B long shed. Manorhouse v2 - Blocked angle that allowed players to see all the way from the top of the car in Axis spawn all the way to the double doors cross at bottom mid. Savoia - Wooden banister leading allied overlook is now penetrable. Savoia - Strange lod/lightmap issues fixed. Savoia - Fixed collision on door that was awkward to walk over. Savoia - Blocked overpowered axis spawn peek angles within the axis spawn building. Fixed an issue that would cause the server to crash when getting a kill in the Wartide game mode. Fixed an issue that would cause the server to crash when checking if a player was close enough to plant the bomb in the Wartide game mode. Fixed an issue that would cause a server crash when spawning a flag in the CTF game mode. Fixed an issue that would cause the client to hard crash when the joined a community server through the server browser. Fixed an issue with the Server.Freeze admin command that would allow movement when unfrozen whether it should or not. Fixed an issue that prevented planting on one side of certain bomb sites in the Wartide game mode. 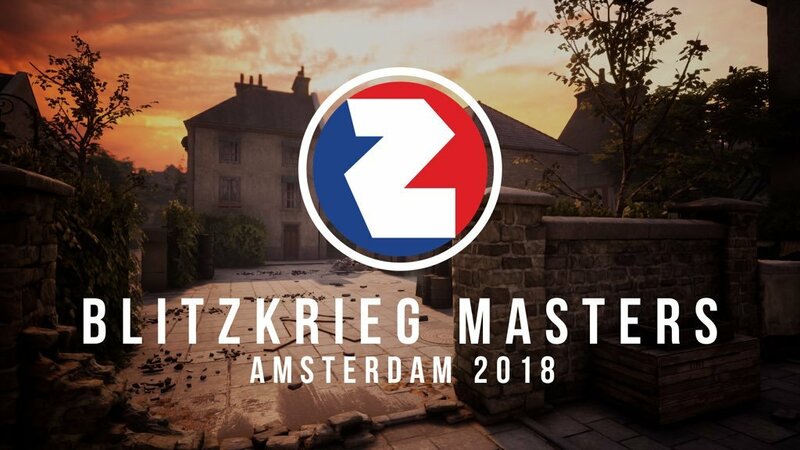 Keep an eye on our official social media channels and @Battalion1944 to follow the latest updates on the first Battalion 1944 major tournament, The Blitzkrieg Masters - Amsterdam 2018! Thanks for your testing and bug reports on the recent Update 2.5.1 hotfix - we can’t wait to see you on the servers after this 2.5.2 update as we lead up to the largest Battalion tournament to date - next weekend!